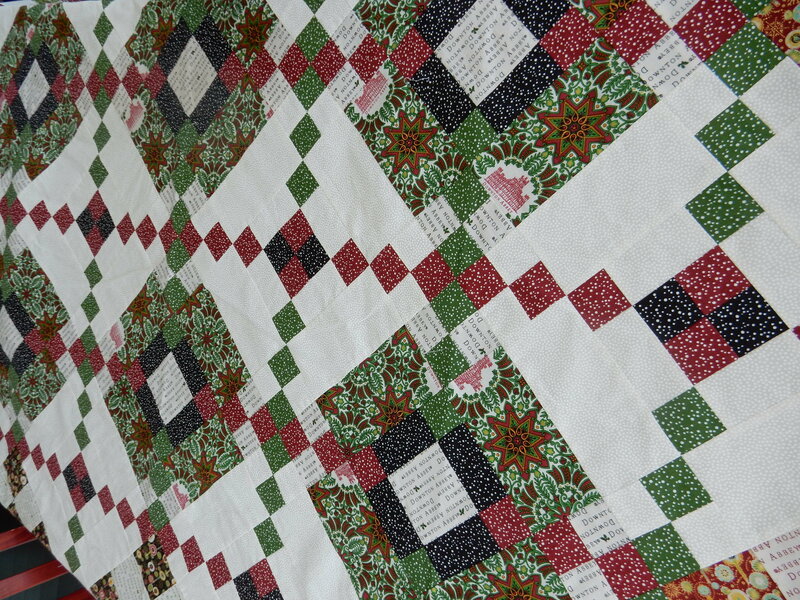 A weekend cornucopia: little boy gifts, a quilt top finish, and we’re off to the races on the Farmer’s Wife quilt! 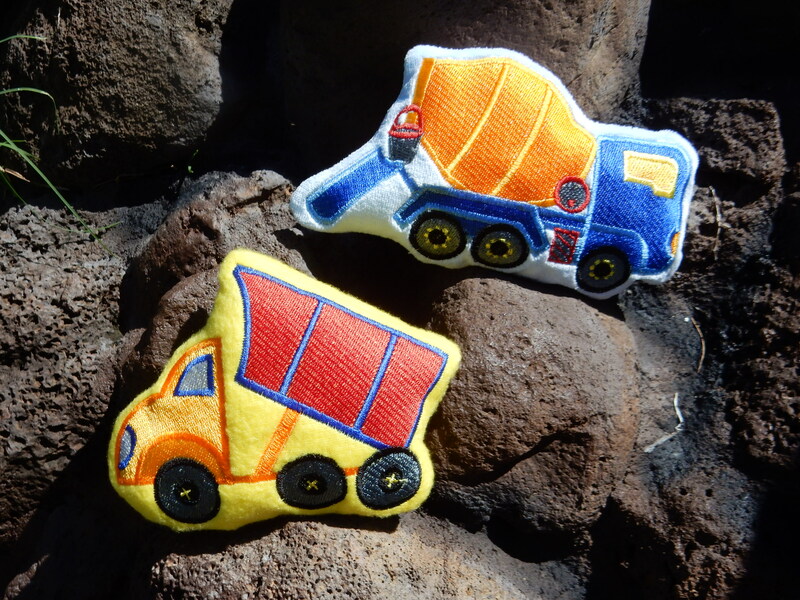 These adorable trucks are in a set by Anita Goodesign, Baby Construction. 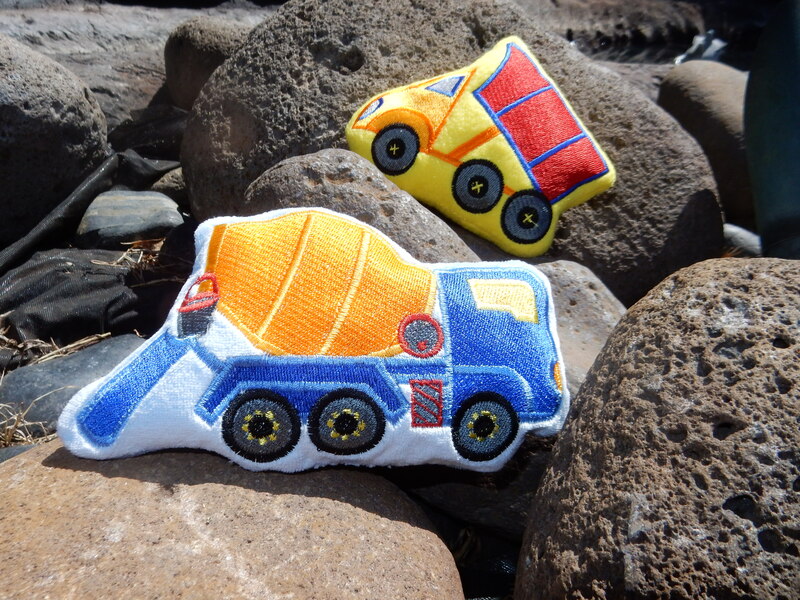 Along with cute applique designs, they have these made-in-the-hoop softies. 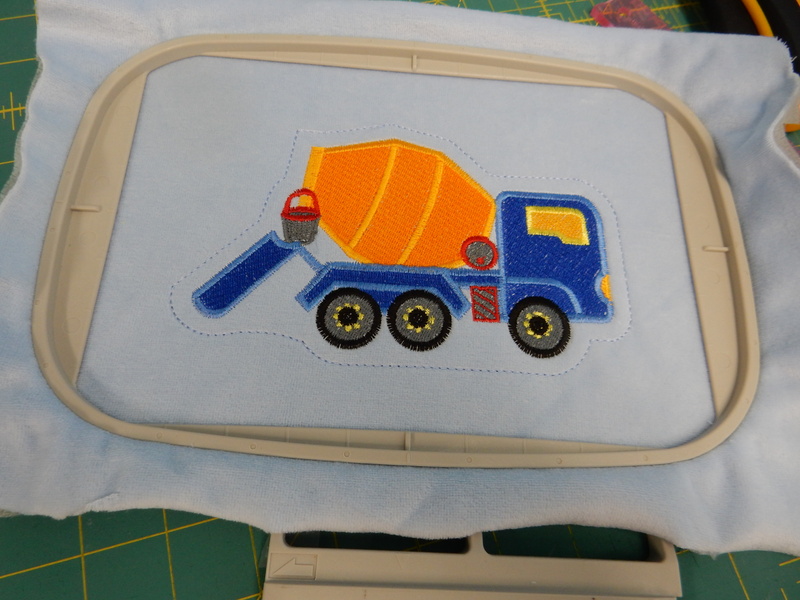 Ooohhh, I can give the baby his first trucks! I took some photos in my sewing room. Not good enough. I knew they needed to be photographed at a work site. Now that’s more like it. 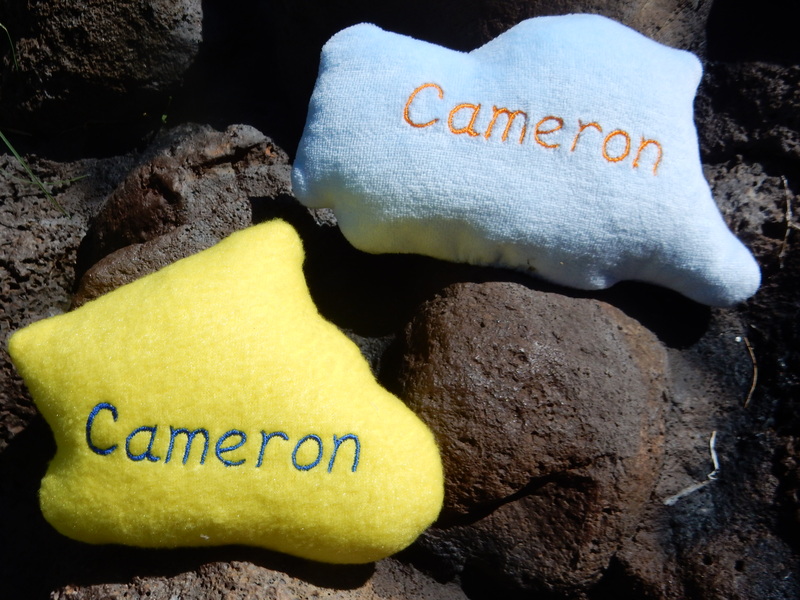 The new little tot has two older brothers, so I put his name on his toys. These were fun to make and turned out so cute. Anita Goodesign does a great job on these in-the-hoop projects. Big brothers like to get gifts, too. 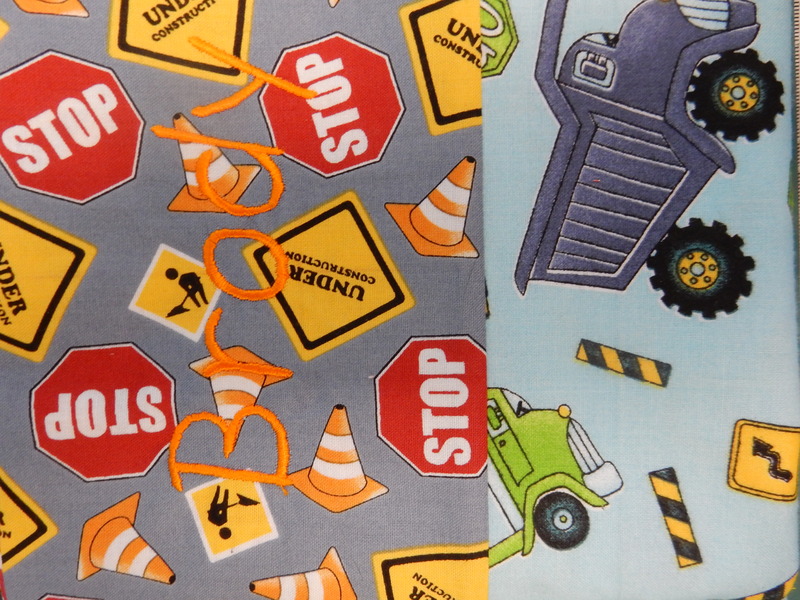 I decided to stick with the construction theme and make pillow cases for the two older boys. I was at my local shop on Friday woking on the Million Pillowcase Challenge, so pillow cases were on my mind. And I figured that everybody like to have their name on things. Especially with a house full of brothers. If you are hearing a grinding noise now, not to worry. It’s just the sound of me switching gears. I have finished my Downton Abbey Christmas quilt top! It looks very elegant, if I do say so myself. I’ll figure out the backing, then off to the quilter. 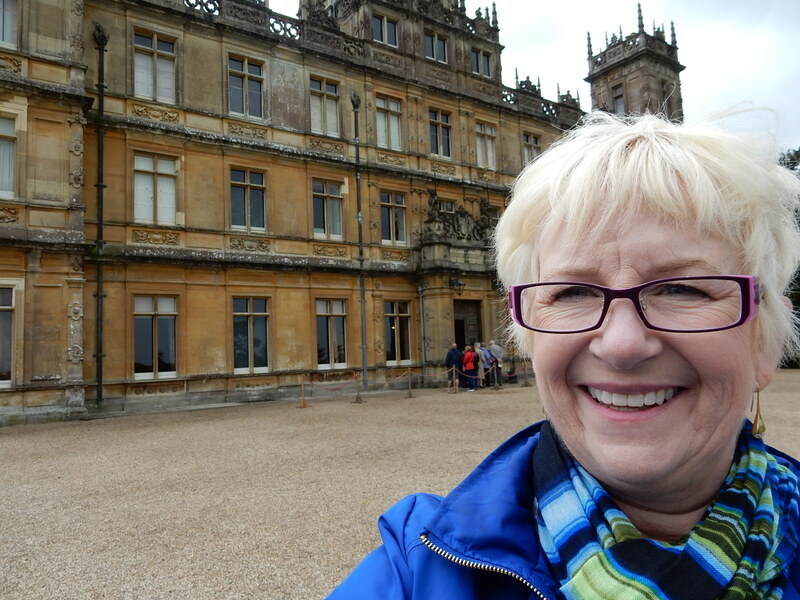 And anytime I mention Downton Abbey, I have to include a picture of me at Downton. More grinding of gears here. The Farmer’s Wife 1930’s Sampler Quilt sew-along has begun! 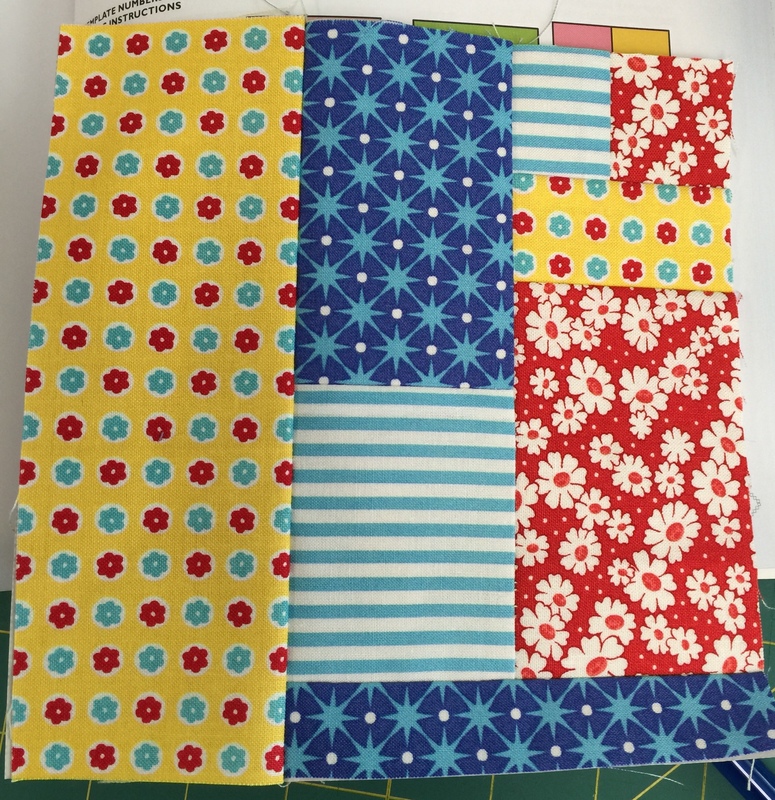 We got a preview of the first block, and here’s mine. Loving the brights. Mine will have quite the variety of colors. Is anyone else riding along for this adventure?